SERAPHINA took the literary world by storm with 8 starred reviews and numerous “Best of” lists. At last, her eagerly awaited sequel has arrived -- and with it comes an epic battle between humans and dragons. The kingdom of Goredd: a world where humans and dragons share life with an uneasy balance, and those few who are both human and dragon must hide the truth. Seraphina is one of these, part girl, part dragon, who is reluctantly drawn into the politics of her world. 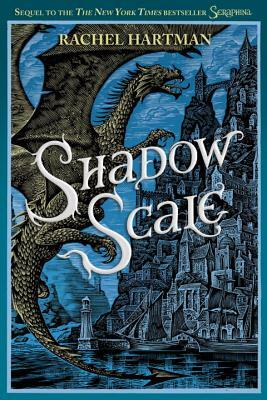 When war breaks out between the dragons and humans, she must travel the lands to find those like herself -- for she has an inexplicable connection to all of them, and together they will be able to fight the dragons in powerful, magical ways. As Seraphina gathers this motley crew, she is pursued by humans who want to stop her. But the most terrifying is another half dragon, who can creep into people's minds and take them over. Until now, Seraphina has kept her mind safe from intruders, but that also means she's held back her own gift. It is time to make a choice: Cling to the safety of her old life, or embrace a powerful new destiny?